Remember we tried to guess whether RED is working on their first smartphone? Well, we guessed correctly. 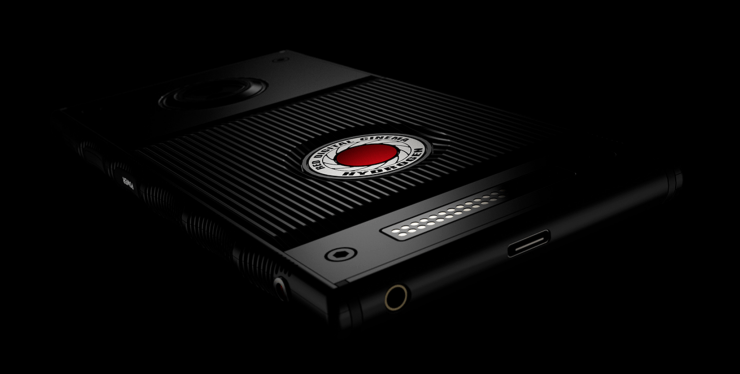 After the vague announcement from last week, RED has now officially released Hydrogen One, their very first smartphone. Hydrogen One is an Android smartphone, a full holographic device that features 2D and 3D virtual and augmented reality. What’s more, it works work with RED Scarlet, EPIC, and Weapon cameras as a high-quality monitor and remote control. Additionally, Hydrogen One features H3O audio algorithm. It serves to provide you with 5.1 sound that’s coming through your headphones, giving you the sense of moving through space. So with the 3D VR, I believe trippy experiences are guaranteed. This is the beginning of a modular platform of RED smartphones. In future, they’ll integrate with attachments for high-quality video, stills, and holograms. Interestingly, these features aren’t integrated now, but they will come as future modules. And I’m not sure how you would use holograms at this point, but you can play you’re in a Star Wars movie and that’s awesome enough – but, if you can afford it. Hydrogen One is already available for preorders on RED website, and the shipping starts in the first quarter of 2018. It costs $1195 for the aluminum body and $1595 for the titanium body. The website states this price is available for a limited time only, so this can mean it will get even more expensive. But nevertheless, I’m interested to see where they will go from here. Nothing in my daily life would warrant $1500 spent on a smartphone. Don’t iPhone 7 Pluses 256GB run a thousand bucks through Att/Verizon etc? This is essentially a redmote and a touchscreen controller for Red cameras. That means it’s potentially replacing at least 2 pieces of equipment that cost $3,000 together. Even forgetting the fact that this is also a phone, that sounds pretty reasonable in the world of Red accessories. This is a tool, not a mass market device. What version of Android? Specs? Edit: no specs are given and it’s expected to launch Q1 2018. Something tells me it’ll be an older version of Android with limited OS updates. No thanks. Johan Saarela I could be wrong. However, some high-end offshoot phones (E.G. Porsche’s phone) ran a previous version than what was current. Also, assuming they are in development now, that means they are working with Android Nougat. By the time the phone is released in 2018, Android will be on O.
I want to see it in action. If no video is released soon, then I’d just as soon pass on this phone. It’s a smartphone so no it doesn’t warrant a $1,500 price tag. I don’t care if it also scratches your back. admit, these things aren’t phones anymore, for quite a few years already. it’s a multifunctional device with a sim slot, which will soon become optional feature as well. most of the time it is used as a computer or media player. there are plenty of choices of phones for under $100. paying anything over that you are paying for it’s computer features. $1500 for a pocket computer with such a bunch of never seen before features is a joke. plus you can call your mum on her landline.